The Dozier Custom Leather Belts are 1 piece split 6oz bridle leather sourced from Hermann Oak Leather here in the USA that is doubled over to make a 12oz belt. It is hand-tooled and hand-stitched by Bob Dozier in his leather shop. It is fitted with either a solid brass or nickel-platted solid brass non-removable buckle. 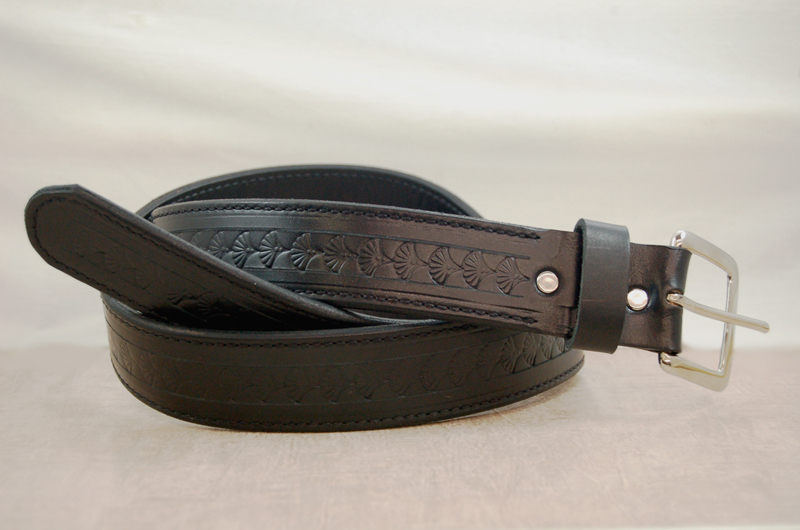 He can make up to a 48" belt with the single piece leather. For belts 49" - 56" the leather will have to be spliced. 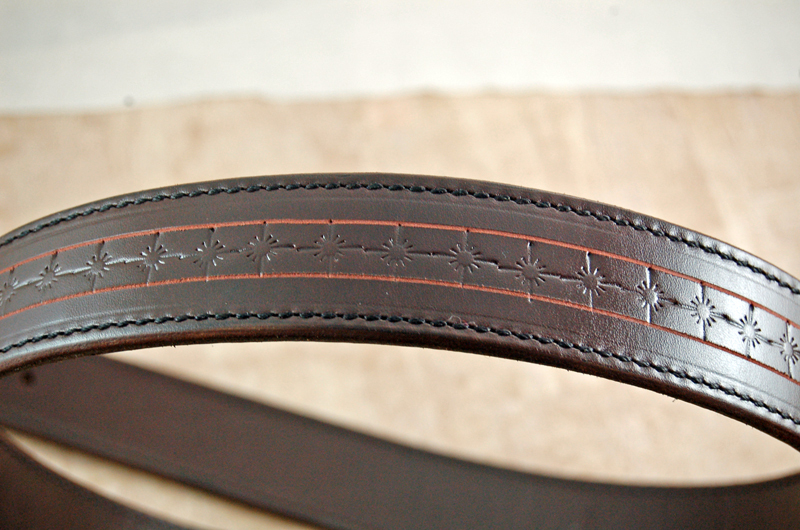 Belt Width - 1 1/2"
Belt Width - 1 1/4"